2 images. Models uniform of Army's newly 'Glamorized Infantry' (Camp Roberts), 1 October 1952. 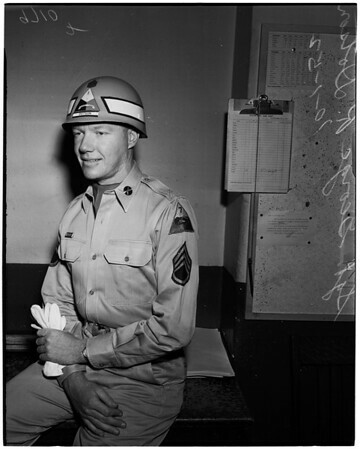 Sergeant George R. Dotson.